…but you just haven’t had time to put working on your posture at the top of your list, the truth is, you’re not alone. Back pain accounts for more than 264 million lost work days per year. Back pain healthcare costs total at least $50 billion annually for the US alone. If you add in the lost wages due to missed work days, the total easily rises to more than $100 billion per year in lost productivity. The fact is that sore, aching muscles and joints affect nearly every office worker at some point in their lives. At best, they’re annoying and uncomfortable. At worst, they zap your energy, sabotage your sleep and force you to quit doing the activities you love. Spending a whole day at work without being distracted by aching shoulders and a stiff neck. Coming home at the end of the day full of energy instead of exhausted and depleted. Turning your head while driving before you change lanes and realizing you don’t have to twist your whole body to look over your shoulder. Falling asleep at night and not waking up once with stabbing pain or numbness radiating down your arms. No longer cringing every time someone snaps a photo of you and you see how hunched your shoulders are. Not having to brace yourself before your daughter flings herself into your arms because you’re afraid your back is going to seize up with the impact. Not having to schlepp to dozens of monthly appointments just to keep your rickety body somewhat functional. Having digestive issues like constipation completely disappear. Being able to play your favorite sports without having to nurse aching muscles and joints for days or weeks afterward. Throwing away all those posture correcting gizmos, gadgets, braces and supports. Getting rid of the constant tension headache that makes it hard to focus at work or be present with your family. Being able to sit, stand and move fluidly and gracefully. No longer avoiding activities because you hurt too much. How much would this change your life? And what would that transformation be worth to you? Now, suppose you could sit down, read a simple eBook, follow practical, client-tested advice and experiment with a few of its proven exercises, and then discover all your aches, pains and stress melting away…Sound too good to be true? I hear you. It’s easy to assume that something so life changing has to be complicated, time consuming and expensive. Well, I’m here to tell you that it doesn’t have to be…if you understand just a few core principles that unlock the secrets in your symptoms, reveal how your body really works (most advice on changing your posture gets this one totally wrong), and define the exercises will best help you to function better. You see, movement is medicine. How you sit, stand and move your body affects how you feel. Move well and you will feel like you’re ten years younger. But if you continue to use the same movement patterns that got you to where you are today, I can promise you that in ten years’ time, you’ll only feel more stiff, more achy and more exhausted! Most people just call this aging, but I promise you, it doesn’t have to be this way. By now you might be asking yourself why you should listen to me and what makes me an authority on helping men and women improve their posture and movement? Good question! Here’s the answer. My name is Sukie Baxter. I’m a Certified Rolfer, Licensed Massage Therapist, equestrian and athlete with more than thirteen years of clinical experience completing thousands — yes, thousands! — of hands-on posture and movement sessions. The majority of my clients spend their working hours in front of a computer as well as traveling vast numbers of hours in cars and airplanes, so I’ve continuously seen the same posture and movement problems that result from this kind of lifestyle over and over again in my office. What is Rolfing and how does it relate to your posture? Great question. 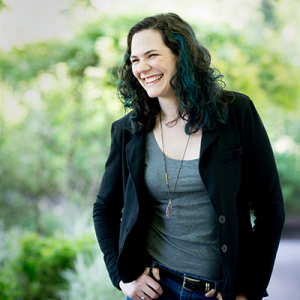 You may never have heard of Rolfing, or think the name sounds funny. I did, too. Rolfing was developed by a biochemist named Dr. Ida P. Rolf in the 1960s to help with her own health challenges. I discovered its healing effects after becoming injured when rowing on my college crew team, but it has in some way helped my whole family. My mother used Rolfing to recover from a spinal injury after falling from a horse, and my father was able to avoid neck surgery after being rear ended by a semi truck on the freeway using Rolfing coupled with my movement recommendations. Over the years of working with my clients, I’ve noticed people asking the same questions about posture and movement again and again, but I’ve found few helpful resources online. Most posture recommendations are incomplete, difficult or time-consuming at best, or are downright incorrect and harmful at worst. And a lot of the best and most useful info is buried beneath layers of jargon and scientific explanations that most ordinary people with, you know, jobs and lives, don’t have the time or energy to wade through. I’ve found myself repeating the same advice from client to client, but the reality is that I can only work with one person at a time, and not everyone can travel to Seattle where I practice to have a session with me. So, I finally set out to write everything down so my clients could have a take-home guide to support the work we do in sessions, and so people who don’t have the opportunity to work with me can still benefit from what I’ve learned. 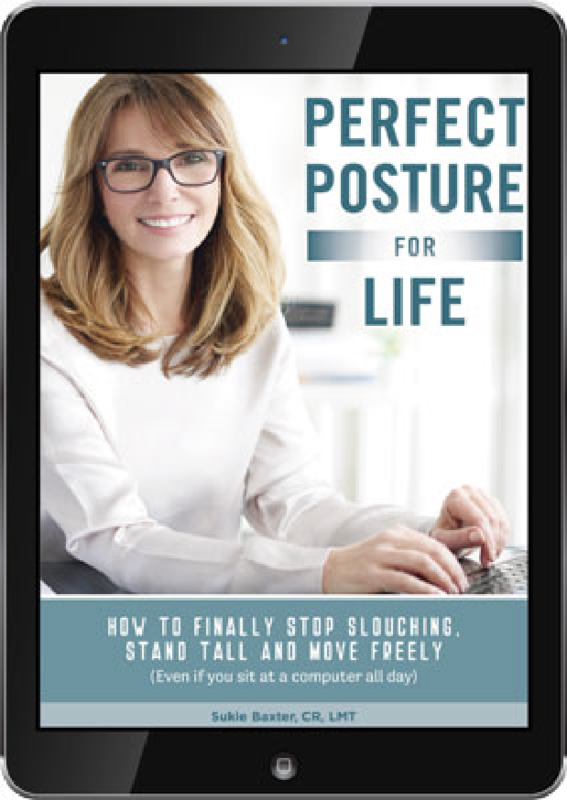 You’ll find that Perfect Posture For Life gives you all the secrets and insights you need to see and feel incredible health results in the shortest time possible. In fact for many women and men, they see an immediate difference in flexibility and physical comfort with just a few of the movement practices contained in this book. You’ll be surprised at how quickly you’ll see your posture improving, feel your muscle tension melting away and notice pain decreasing — all within a matter of weeks. Then you’ll be astonished when in a few months find yourself feeling happier, lighter and more energetic. I know it sounds almost too good to be true, but that’s how powerful changing your posture can be. Literally in a few months you could be experiencing the benefits of better movement on your physical and mental health! “Sukie totally changed my life. I was a super active human with a super annoying injury that left me in tears more times than not. After about 6 months, my range of motion was restored and I could finally sleep at night without being in immense pain. Two years later, I have zero pain in the area where I previously could not go a day without being miserable.”– Nikki V.
That’s easy. You probably already know that most people don’t fix their problems and health related issues until it’s nearly too late, by then the cost to reverse the damage can vary from thousands of dollars to prescription pharmaceuticals with unpleasant side effects or even dangerous surgery. But I urge you to not wait until it’s too late. You also know that researching this yourself would take years of slogging through articles and studies and piles of data, and it could cost you thousands of dollars as you are no-doubt going to find yourself testing out a lot of bogus products while heading down roads that lead to dead ends and frustration (or worse: injury). You could continue to see multiple practitioners that give you temporary results at best, throwing hundreds or even thousands of dollars at the problem while wasting away dozens of hours traveling to and from appointments, potentially even missing work and losing productivity. Of course, you can work with me in person at my practice in Seattle, but the cost for sessions is $200, and most clients need multiple sessions to see long term results. But your investment for receiving this life-changing eBook which conveys everything I’ve learned in more than 13 years of practice is only $24.97. Even better, because it’s delivered digitally, you can download it instantly! 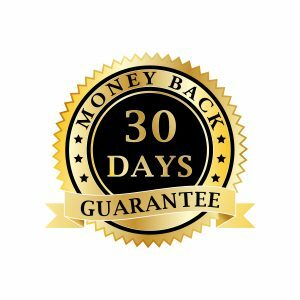 That means you have a full 30 days to read and implement all of the life-changing information packed into the eBook. And if in the unlikely event you don’t find the information in the eBook is worth at least 100 TIMES more than it costs, just shoot me an email and I’ll refund your money right away, no questions asked.